IN its own way, Queensland continues to deliver NSW great pain. It is to the private delight of the Maroons. Only a brief look is necessary to see Queensland's Origin dominance now infiltrates the premiership. Two of the three teams with a significant representation of Queensland Origin players, Melbourne and North Queensland, now play in Sunday's grand final. The third, Brisbane (with seven), was eliminated on Friday. It would be foolish to consider it chance. And foolhardy for NSW headquarters to not wonder why and to continue this myth that Queensland's success is a rare alignment of stars and chance. The Maroons are doing something to develop players that the Blues are not. The truth is Melbourne beat Brisbane last Friday with six Queensland players in its line-up. Alongside the Big Three of Cameron Smith, Cooper Cronk and Billy Slater were Will Chambers, Cameron Munster and Tim Glasby. North Queensland had four: Michael Morgan, Justin O'Neill, Gavin Cooper and Coen Hess. 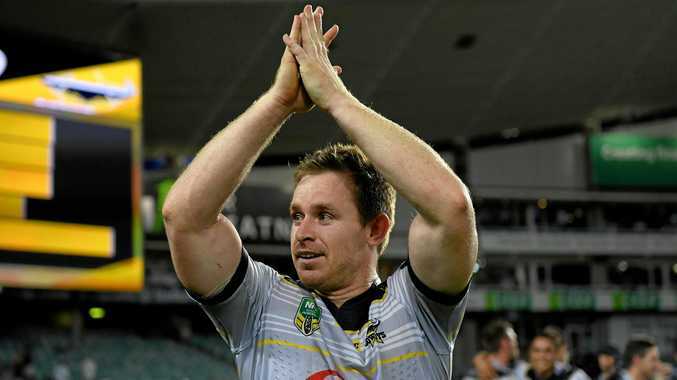 Add to that the injured Johnathan Thurston and Matt Scott and the influence they wield for both Queensland and the Cowboys, the advice of the wise, and it becomes very clear that something is happening in Queensland that is not happening in NSW. Here is the evidence the Blues keep getting it wrong. Of the 26 Queensland players used in Origin this year, a season considered one of the greatest turnovers in Queensland history, 18 players came from those three clubs. There seems nothing accidental about its success. Former Wallaby Ben Darwin now runs a company called Gain Line Analytics that works with a basic thrust based on the theory of cohesion. He calls it the "teamwork index". Good teams become good teams, he argues, because of time spent together. And he has the data, he says, to prove it. Darwin can go all around the world to find examples of success with teams that have developed and maintained their rosters, from the All Blacks to Iceland in soccer. The Queenslanders are so generous in their support for each other they brought down the Roosters, collectively, on Saturday night. For years the NSW brains trust has legitimately attributed Queensland's dominance to the presence of several generational-type players - Smith and Thurston and Slater, and before that, Darren Lockyer. All are mentioned as possible Immortals. Any plan the Blues had to wait for retirements before getting back in the fight are quickly being surpassed, though. Michael Morgan has steadily and relentlessly passed every NSW playmaker in recent years. Considered primarily a ball-running half when he first came into the NRL, a running utility at Origin level, Morgan is something else altogether now. Roosters coach Trent Robinson correctly identified Morgan not only as the Roosters' greatest threat before Saturday's preliminary final but also the best player in the game at the moment. He was kick perfect. A 40-20 early, two try assists, basically all the important stats you care to mention. What can't be measured is calm and control. More often than not against the Roosters, Morgan made the right play at the right time. He murdered them. When the moment came and the game needed to be won, the Roosters could not find the answer. The football intelligence developed by Morgan shows it can be coached but not everyone can be coached to do it. There is an irony to it in Sunday's grand final. After he steered the Cowboys home on Saturday, the captain, Cooper, told Channel Nine the change in Morgan was triggered earlier this season after being in the Australian camp alongside Cronk. 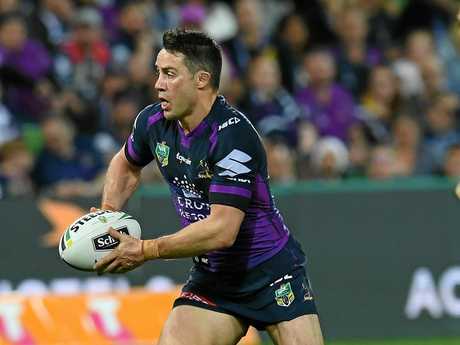 "I've got to pat Cooper Cronk on the back," Cooper told Nine. "He had a yarn to him in the Anzac Test about how to take control of a team and his role in the team. "After that he came back to Greeny (coach Paul Green) and said he wanted that responsibility. "Everyone from the outside kept calling for him to lead the team around but the way we were playing meant that wasn't his role. "Since that weekend, he's come back, he's a new player and some of the stuff he's come up with lately is pretty good." The greatest conversation in the modern game also appears to be its greatest gift. Queenslander to Queenslander. Unless the Blues get it together quickly, it might never end.